Skating rinks became popular in New York City in the mid 1800s – In 1863, James Plimpton invented a much improved roller skate. With his new invention, the sport of roller skating had a huge rise in popularity and countless skating rinks soon began popping up across New York City. Skating can be educational – Skating is a great way to learn about science, technology, engineering, and math lessons (also known as STEM)! Our Tallahassee STEM field trips are customized for each group of children so that each individual class trip relates directly back to the teacher’s lesson plan! Roller skating is good for your health – Roller skating is a good low impact exercise that workouts your legs, core, and arms. It also improved balance, coordination, and burns about 482 calories an hour! Our skating rink hosts more than just birthday parties – Skating is fun for all ages, so Skate World Center makes for a wonderful Tallahassee party venue for corporate outings, school or club fundraisers, scouting events, church groups, class reunions, bachelor/bachelorette parties, and adult birthday parties. Of course, as fun as it is to learn about roller skating rinks, it is a lot more fun to visit one! So check out our hours and upcoming Tallahassee events, and make plans to visit us today! For more information about our STEM field trips or parties, contact us at 1-850-386-4807. Why it’s Scientifically Important to Treat Yourself! “Work hard, play hard” is easy to say, but how often do you really take the time to treat yourself to some well-deserved fun after a long, hard week at work? At Skate World Center, we’re here to help you out with that! 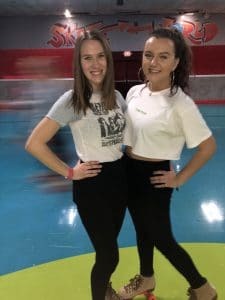 Read on to learn why you deserve a night of fun, and how our Tallahassee skate center can make it happen. For Your Productivity – Turns out, all work and no play won’t just make you dull, it’ll make you worse at your job! Taking time to have fun and relax helps you recharge before you head back to the daily grind, which can improve your focus. 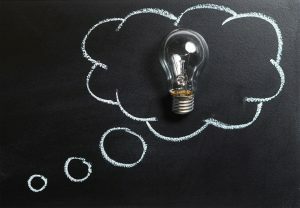 Relaxing with a physical activity like skating also has the added benefit of giving you some exercise, which has been shown to increase productivity! For Your Health – Taking time to relax, socialize, and have fun isn’t just enjoyable, it’s downright necessary. Relaxing and enjoying yourself can actually help you live a healthier life! For Your Relationships – Just like a plant can’t grow without water, your relationships can’t grow without regular care and attention. Making time to have fun with the important people in your life (whether that’s your kids, friends, partner, siblings, etc.) strengthens those bonds and keeps you from drifting apart. Life is short, so we’ve got to make the most of it with the people we love! 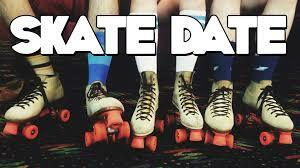 So make plans to visit our Tallahassee skate center for your health and happiness today! And if you’re new to skating, then check out our Tallahassee skating lessons. Some kids are fearless, whereas others might be a little intimidated by skating. Either way, a good place to start teaching kids to skate is teaching them to fall down! Showing them how to safely fall down and stand up takes away some of the fear of falling. It’s also a good skill to learn before hitting the rink. Once they know how to fall and get up, it’s time to bring in balance. Instruct them to bend their knees to maintain their balance. The “neutral” stance has their head, shoulders, and hips in line directly over their skates. Leaning forward and walking on their skates comes next. So that’s learning to fall, to get up, to stand, and then to move! Get Help from the Professionals! Our Tallahassee skating lessons are a wonderful way to teach your kids how to skate. Lessons are only $9.00 and include skate rentals. To make sure everyone is comfortable, classes are divided between the carpet group and the floor group. That way kids can learn at their own rate and level of comfort. Contact us at 1-850-386-4807 for more information about our Tallahassee children’s skating lessons! Make the Most of Your Spring Break! Spring break is just around the corner. That means kids are looking forward to a full week of fun away from the classroom. But don’t just let them sit around watching TV; instead, make some exciting plans to partake in some Tallahassee spring break events! Explore the Tallahassee Museum – The Tallahassee Museum is unique in that most of it is actually outdoors! There is a playground, colorful dino sculptures, live animals, and even a zipline for the older kids. It is a wonderful way to enjoy some beautiful Florida nature while exploring and learning. Plus, they currently have a giant anteater! Visit Cascades Park – Cascade Park is a large 24 acre urban park with walking trails, a fountain great for splashing, and a Discovery Playscape area that is great for kids. Get Active at Skate World – Without their usual playground and P.E. time, it’s important for your little ones to get active and make time for a little exercise this spring break. That’s why we are offering special spring break sessions in addition to our regular hours! 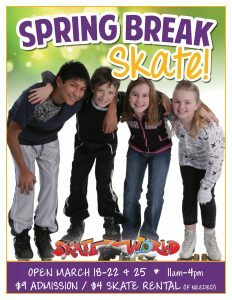 Bring your kids to skate off a little of that extra energy March 18th-22nd and 25th from 11:00 a.m. through 4:00 p.m. Admission is only $9 and skate rental is $4. Check out our other upcoming Tallahassee events and make plans to take your kids skating. Contact us at 1-850-386-4807 to make a reservation for a group discount. How To Make Your Next Party Stand Out! If you’ve ever planned an event, you probably know the pressure that comes with organizing the perfect party. You want to make sure your party is unique, while also considering affordability and time. With this in mind, we’ve crafted a short list of party planning tips to help make sure you plan an awesome party. 1. Everyone is one-of-a-kind; their theme should be too! Do a quick Google search for themes that are fun and simple to carry out, but also that pertain the birthday person as an individual. Consider what makes the birthday person special or what they are really passionate about and roll with that. 2. On a budget? DIY! If you find yourself strolling the party aisle and wondering why decorations cost so much, then this tip is for you! Hop on Pinterest and find some decorations that you can create yourself. This is something you can enlist your family and friends to help you with as well! A week before your party or event is the worst time to start planning. It will cause you more stress than it’s worth (and ensure half your guests are busy), so make sure you start planning early on. This will minimize the pressure and give you time to organize the best event possible. 4. Skip all these steps, and let us take care of it! 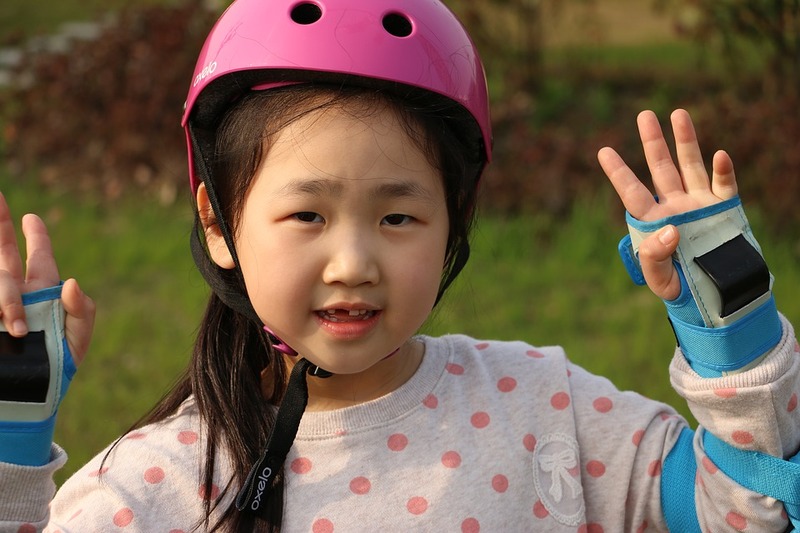 Let us take some of the weight off your shoulders by booking a roller-skating birthday party at Skate World Center! Here at Skate World, you can choose from three birthday party packages, each of which will make for an exciting and fun-filled birthday for kids of any age. Each package provides your party with 3 hours of unrestricted access to the skating rink, game tokens, pizza, soda, 45 minutes in a private party room, and more! 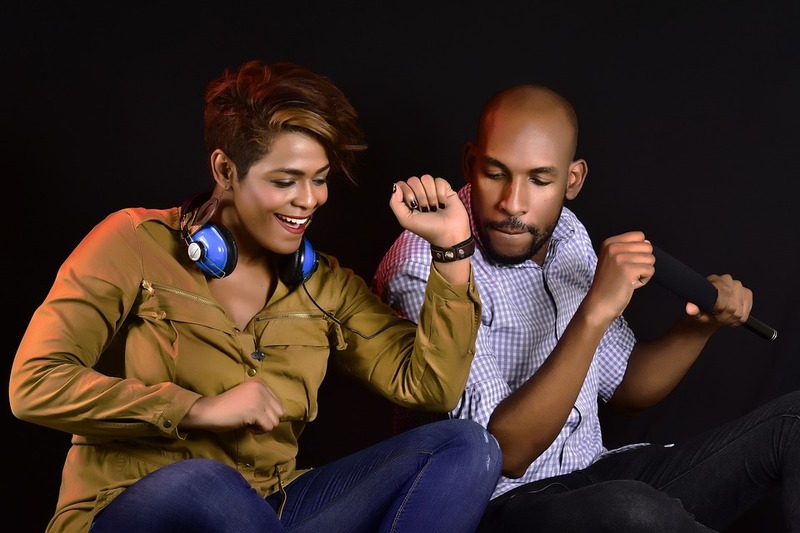 For more information on parties and events, contact us. Pass Along the Fun – Skating is a great activity for kids and adults of all ages and abilities. That is why it is such a great activity to pass along to the next generation by sharing the fun with your kids or grandkids. This will help them make their own fun skating memories! Plan a Unique Date Night – Break away from the old diner and a movie standby date by planning a date night to take your special someone back in time with skating. You could even surprise them by requesting their favorite old school skate anthem! Reconnect with Your Old Friends – Skating is the perfect way to reconnect with old friends or to make some brand new ones. Skating is the perfect activity to plan a night out with your gal pals or with the boys. It will make you all feel like kids again. Come relive the good times at our Tallahassee skating center! We have lots of fun upcoming Tallahassee events and affordable group discounts. And don’t worry if you’re a little rusty on skates because Skate World Center also offers Tallahassee skating lessons for a variety of skill levels including beginner lessons, advanced lessons, and even speed skating lessons. Contact us at 1-850-386-4807 for more info on our upcoming events and skating lessons and make your plans to visit today! With Valentine’s day nearing, people are beginning to plan special date nights. In 2019, dinner and a movie for two is well over $100. 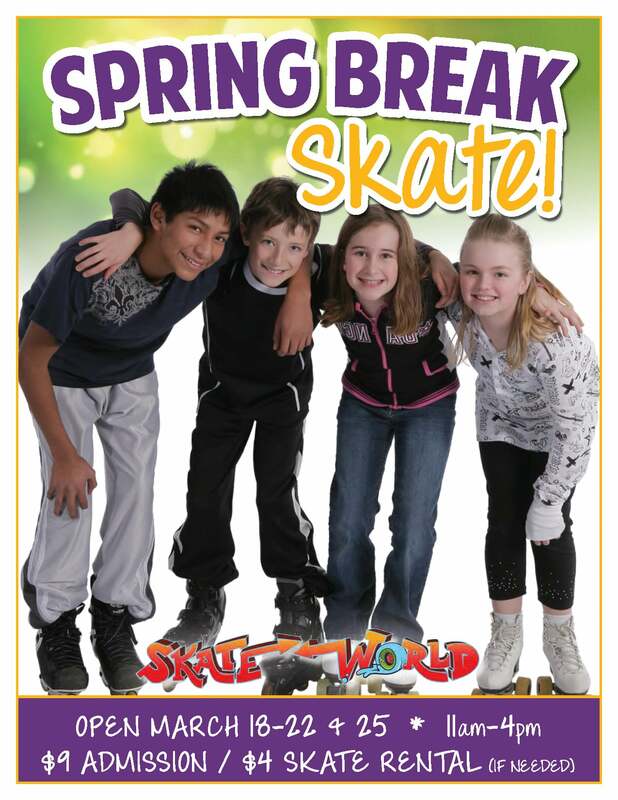 A date at Skate World is $17.00 per person for two activities and skate rentals. Enjoy a night out without breaking the bank. What’s stopping you from trying something new with someone new? Trying new things has a ton of benefits for you mentally and emotionally. It invigorates creativity and gives you a fun new memory while getting you out of your comfort zone. Take a step back into your childhood and have a laughter-filled night. Roller skating takes a bit of practices, so if your date can be goofy with you during a night of roller skating, then they’re a keeper! Don’t just talk, get moving. 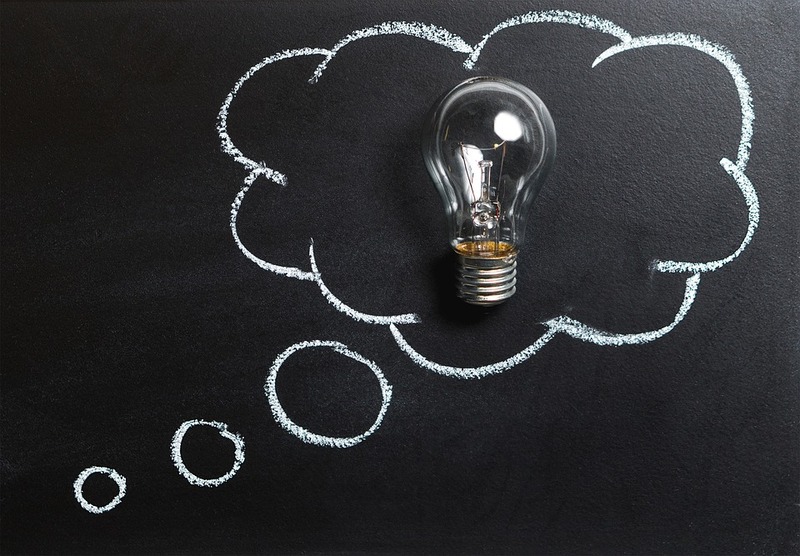 Ask thoughtful questions they’ll love to answer. Give yourself good date karma by being polite, no matter how well you click (or don’t). Save the serious stuff for when you’re alone. Stay informed about current events — they’re great conversation starters. Wear something they will love. Scroll through our upcoming events and schedule to find an event for you! If you want to get in some practice before Valentine’s Day, come to any of our open skates or even take one of our beginner lessons every Saturday morning. If your 2019 Valentine is a young son or daughter, join us for a Tiny Tots Valentine’s Party on February 8th from 10 a.m. to 1 p.m. We will be making Valentine’s cookies, heart hands, and we even have a lunch bunch option. So regardless of who your Valentine is, we have a way to celebrate for everyone. Get your heart eyes ready and roll on by! Take Time to Skate in 2019! Did you make a New Year’s resolution this year? 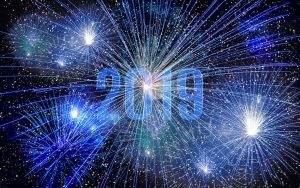 Some of the most common resolutions include getting into shape, spending more time with loved ones, and learning a new skill. If you picked one of these common resolutions, then you’re in luck because they can all be achieved with rolling skating! Roller skating makes for an amazing workout! A bit of moderate skating burns around 330 calories an hour, while vigorous skating burns up to 600 calories an hour. Aside from burning calories, skating also makes a great low impact cardio workout that’s good for improving balance and core strength. Studies show that social bonds grow better through engaging, interactive activities than compared to less engaging activities (like watching TV). Skating is a great way to break the monotony of the day to day grind by shaking things up with an activity the whole family can enjoy. Whether you are just getting started skating, or you’ve been skating for a while and just want to improve your skills, we have a class for you! Our Beginners Skate Lessons are held Saturday mornings from 9:45 – 10:45 am and are great to teach kids to skate so they can hit the floor with the rest of the family! Our Advanced Skate Lessons covers skills such as skating backwards, spinning, and basic jam skating. If speed is your goal, then check our our Speed Skate Lessons for those aged 5-60. So check out our upcoming Tallahassee events calendar and make your plans to better yourself through skating in 2019! Celebrate December with These Amazing Events! It’s the holiday season and at Skate World Center in Tallahassee, FL, we have all kinds of cool things lined up for the month of December. Whether you’re a pro skater or just beginning, there’s always something going on at our roller rink! Check out what’s coming up and don’t forget to take a break from the fun on the hardwood to try out our arcade or let the kids bounce around in our play area! Homeschool Skate – Dec. 7th from 1 pm-4 pm. Admission is only $6 and it includes 2 activities. It’s a perfect chance for our homeschooled kids to get together and make some new friends this holiday season! 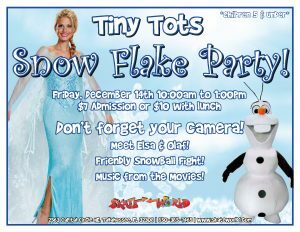 Tiny Tots Snow Flake Party – Dec 14th from 10 am-1 pm. 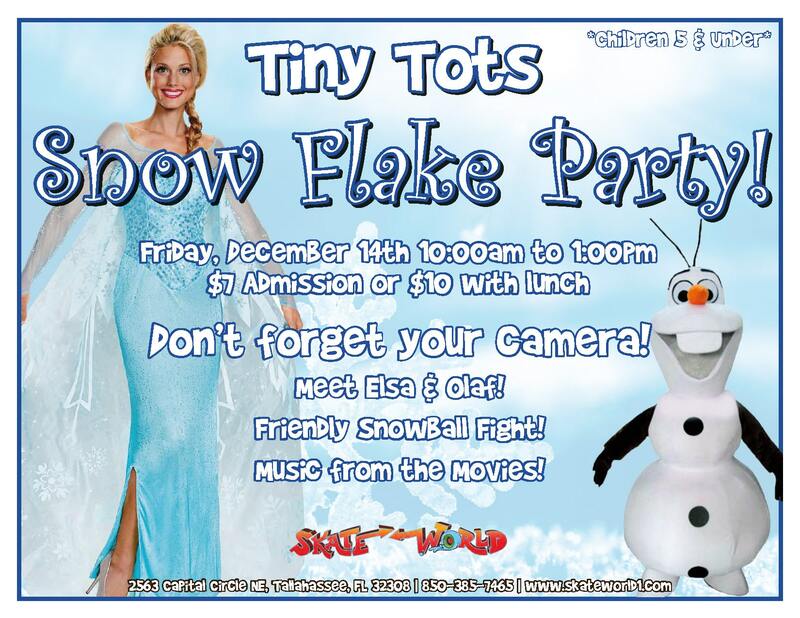 You pay a $7 admission or $10 with lunch special guests, Elsa and Olaf! Plus we’ll be playing music from the movie Frozen and there will even be a “snowball” fight! Winter Break Skate – Dec 26th, 27th, 28th, 31st, Jan 1st, 2nd, 3rd, 4th from 11 am-4 pm. Admission is $9 plus a $4 skate rental fee. Make sure to make Skate World part of your holidays this year. We have so much going on and it’s a perfect way to take a break form the stress of the season. Roll by anytime to find out more about any of our holiday-season specials or regular open skating time. We’re Tallahassee’s best family-friendly activity center with fun for young and old! Roll by and party with us this December. 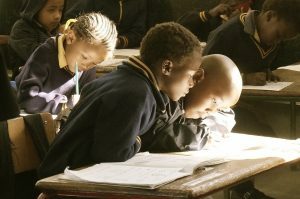 Skate World Center is proud to support local schools and educators. That’s why we are so excited about the 2019 Roller Skating Foundation Grants! Roller Skating Foundation Grants are awarded to schools, educators, or educational volunteers to help meet their organization’s specific educational or fitness needs. 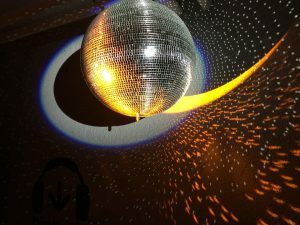 Of course, priority will be given to creative projects that involve roller skating, such as visiting a local skating center for student fitness, or by using rolling skating to teach the principles of physics. Speaking of using skating to teach, we offer unique educational STEM field trips for grades K-12 at our Tallahassee skate center. These fun field trips teach children about STEM fields (science, technology, engineering, and math) while using roller skating as a medium to engage with the subject matter. Our professional STEM educators work with teachers to customize their sessions so that they relate directly back to the teacher’s lesson plan and school curriculum. Each field trip includes 1 hour of STEM education and 2 hours of physical fitness as kids zip and zoom around the skating rink. We’re also proud to support the local collegiate community by hosting Greek parties for nearby colleges including Florida State, Tallahassee Community College, and Tallahassee Christian College. And if you happen to be a student, be on the lookout for the upcoming 2019 Roller Skating Foundation Scholarships! Don’t procrastinate; start working on your proposal for the 2019 Roller Skating Foundation Grant today. Contact us at 1-850-386-4807 for more information about our innovative Tallahassee STEM Field Trips or to schedule your class with us today!